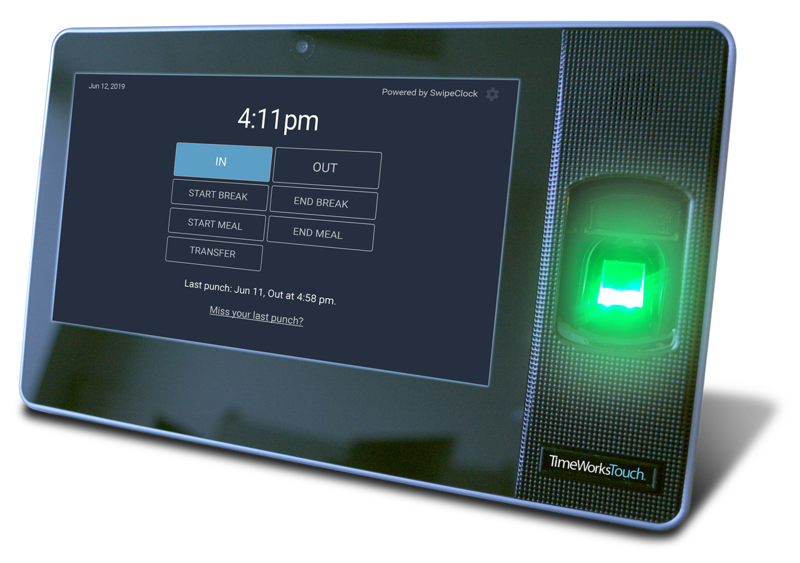 TimeWorksTUFF includes all the features of TimeWorksTouch in an industrial-style case that is dust/shock/water-resistant. 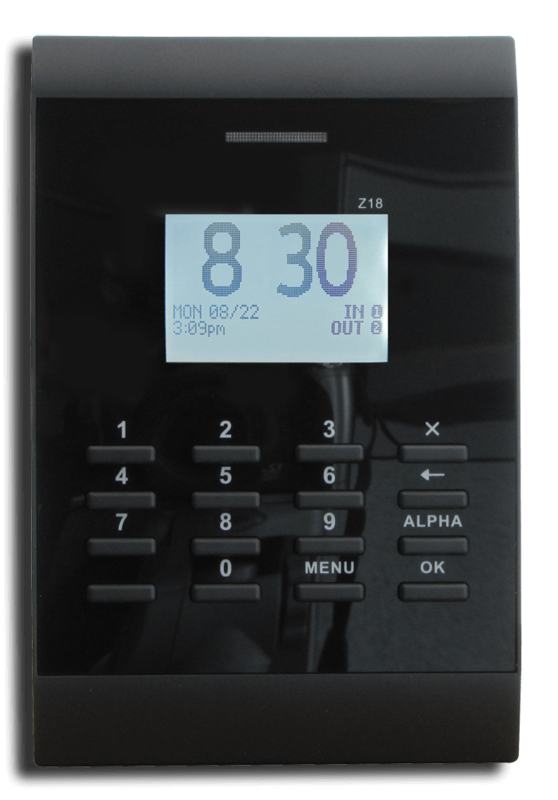 This cloud-based protected clock is perfect for remote job sites that are not your typical clean and protected offices. 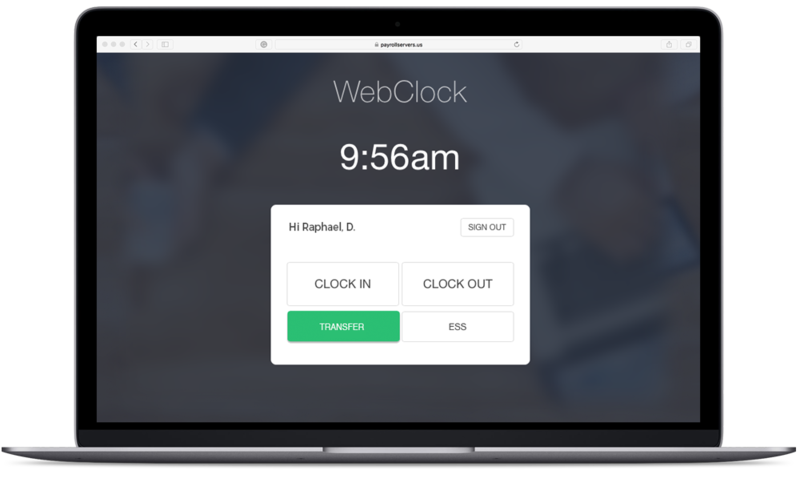 Enable employees to clock in/out through a standard web browser. Data available in real-time. Restrict employee punching via IP address for added accuracy. 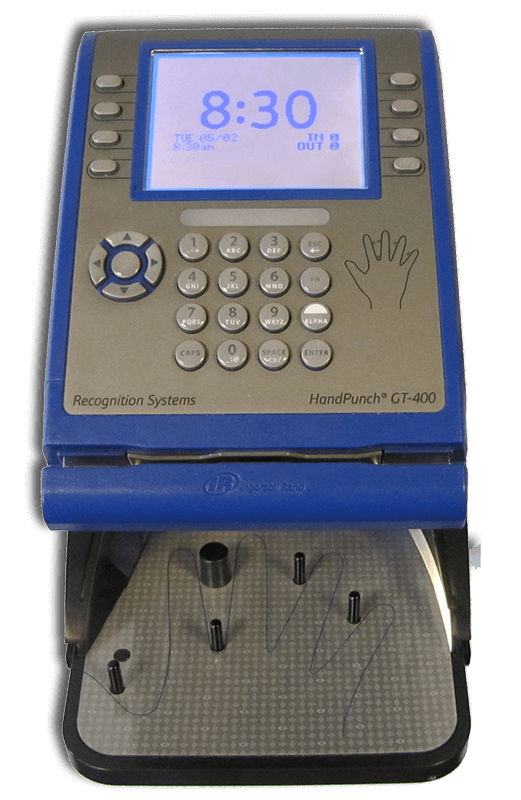 Clock in/out via biometric fingerprint verification and PIN. Affordable real-time clock with on-screen print view. Clock in/out via hand geometry using the size and shape of an employee’s hand. Offers real-time connection (Ethernet). From employees clocking IN/OUT to supervisors approving time cards, get the convenience you need with the TimeWorksPlus mobile app with PinPoint GPS. 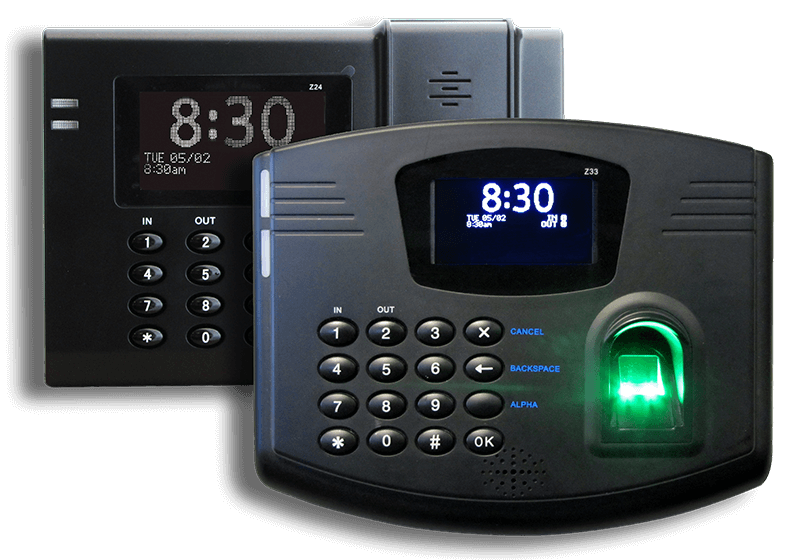 Clock in/out with a PIN, prox card or key fob (“Mango” type). 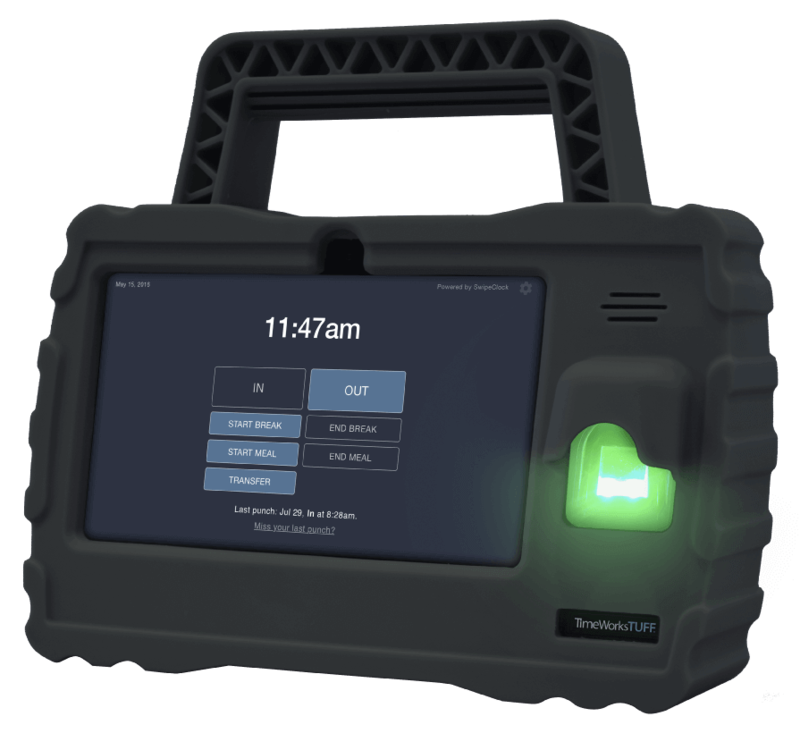 Offers real-time data connection to send punch data to the web (Ethernet). 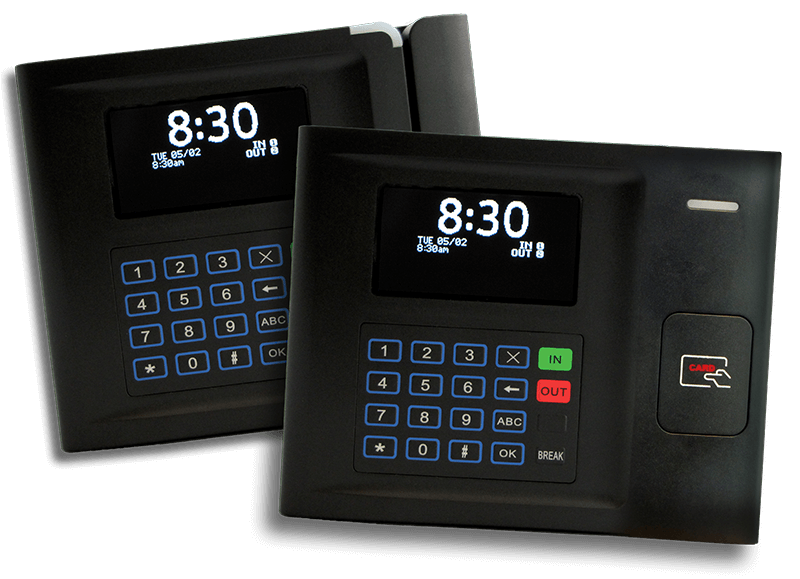 Proximity reader supports Ethernet connectivity and offers clock in/out via PIN or optional Mango “prox” card. A magnetic stripe card option is also available. Ethernet-enabled model offering universal 3rd-party prox card compatibility. Intended for professional wall mounting only. 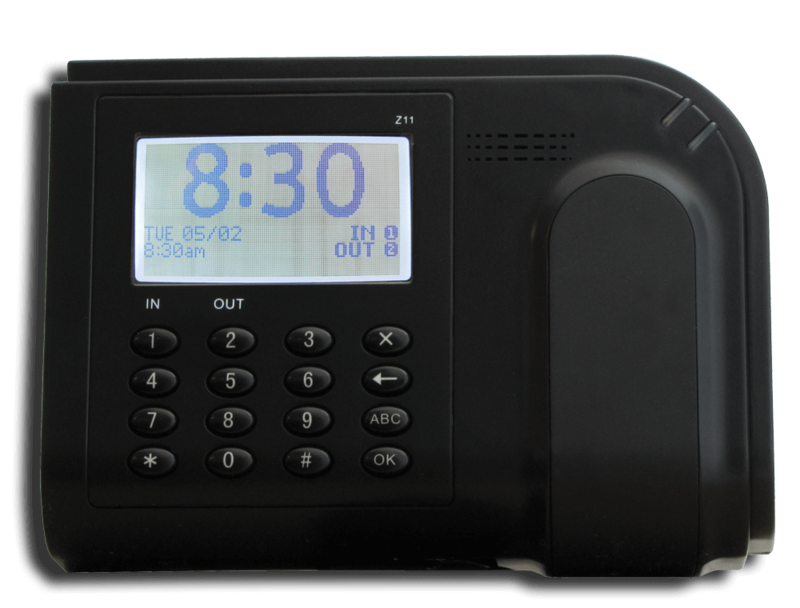 Enables employees to clock in and out over the phone. 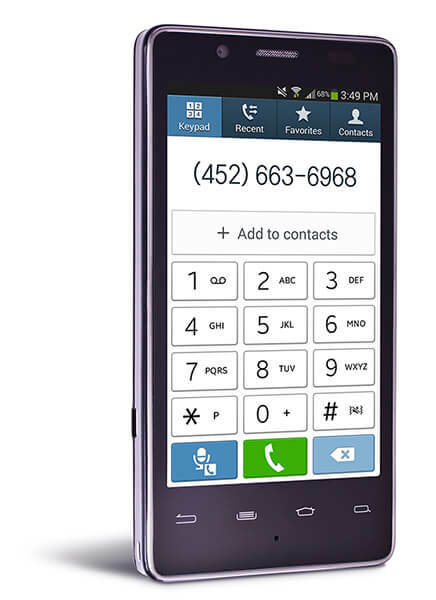 Options include: Generic/Shared Number, Private Local Number.